We are offering a special course at a 30% discount during the month of January: “Confidentiality and Privacy, Including 42CFR Part 2”. 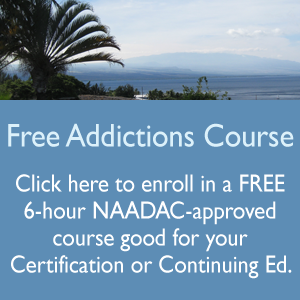 This recently updated course would be a wonderful addition to your recertification requirements or your initial certification as an addictions professional. The course is approved by the National Association of Alcoholism and Drug Abuse Counselors (NAADAC) and the Hawaii Dept of Health ADAD.